Not about the actual writing and photographing (though lately, ahem, I’ve been a bit behind — sometimes I have to take breaks), but about the actual application of body lotion. See, to me, slapping on a face / body / hair / eye / whatever body part oil is so much easier than massaging in a body lotion. But lotion bar? Now that’s something new, and Moon Valley Organics is convincing me that it’s unwise to write off all things lotion-related. 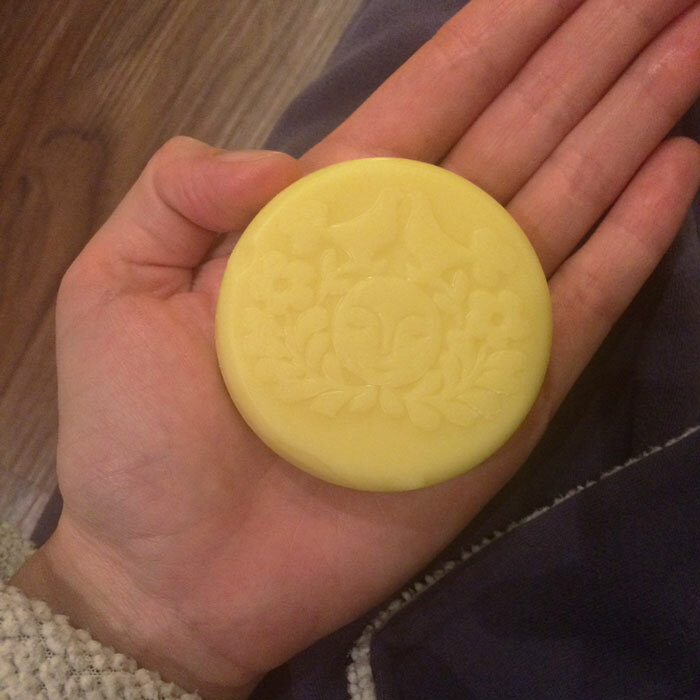 First of all, you can’t hold the moon in your hands with many other lotions and lotion bars. But that’s the first step in using Moon Valley Organics’ Moon Melt Lotion Bar. Don’t you love it already? The heat from your hands melts just the right amount of this safflower oil- and beeswax-based lotion bar onto your skin. From there, you can rub your hands together and apply any excess lotion bar to other dry areas. I will admit that Moon Valley Organics’ Moon Melt Lotion Bar feels a bit greasy at first, but as you massage it into your hands and share the moon love on other spots that need a little moisture (knees, feet and elbows for me), the greasy feeling quickly dries to a soft finish and leaves behind a soft scent of lemon and vanilla. I appreciate the simple yet effective ingredients list (calendula and comfrey? yes please!) and the fact that Moon Valley Organics’ Moon Melt Lotion Bar is certified USDA organic. Furthermore, it’s packaged in a beautiful white tin with a gorgeous embossed moon and subtle branding — I’ll be keeping this tin to store all sorts of random goodies! The actual cardboard box the tin arrives in is also made from 100 percent post-consumer recycled content and features beautiful design and elegant copywriting. If you’re a branding freak like me (sorry, this is what I do for a living) you pick up and appreciate these little details! To tie all this goodness together — organic ingredients, beautiful branding, sustainable packaging — Moon Valley Organics’ Moon Melt Lotion Bar is also affordable. At $10.99, it’s accessible (whether you call it a splurge or a bargain depends on your own financial situation), and I’ve seen it in my local Natural Grocers / Vitamin Cottage, so it’s likely physically accessible to you, too (but check the store locator to be sure!). But, ingredients, branding, packaging AND price aside, when it comes to repurchasing decisions, it all comes down to two things: Does it work? Will I actually use it? 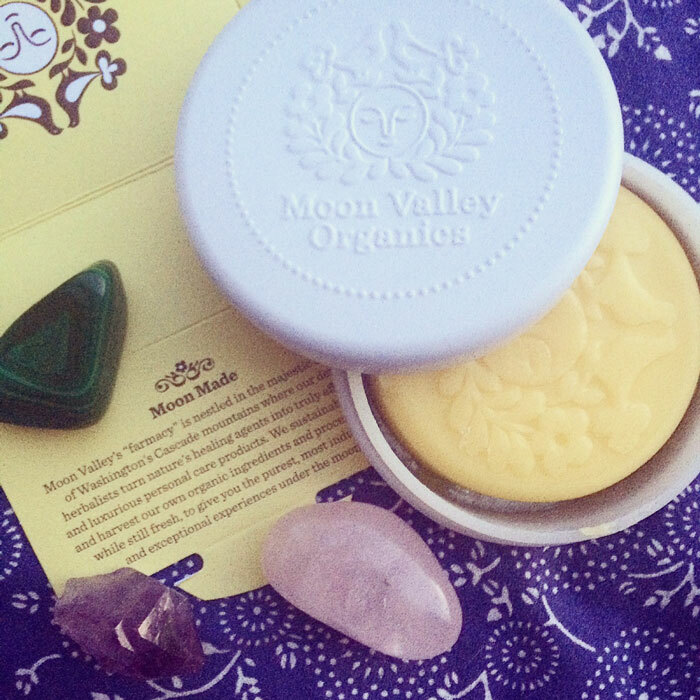 For Moon Valley Organics’ Moon Melt Lotion Bar and me, it’s a yes. This is one of those fantastic products for travel, your bedside table, your everyday bag, your office beauty stash — all of the factors above add up to a stellar lotion bar that is fun and easy to use and does the job: Delivering healing hydration to chronically dry skin. Have you tried anything from Moon Valley Organics? What are your thoughts on lotions vs. lotion bars vs. body oils vs. other means of moisturizing? Tell me in the comments section!